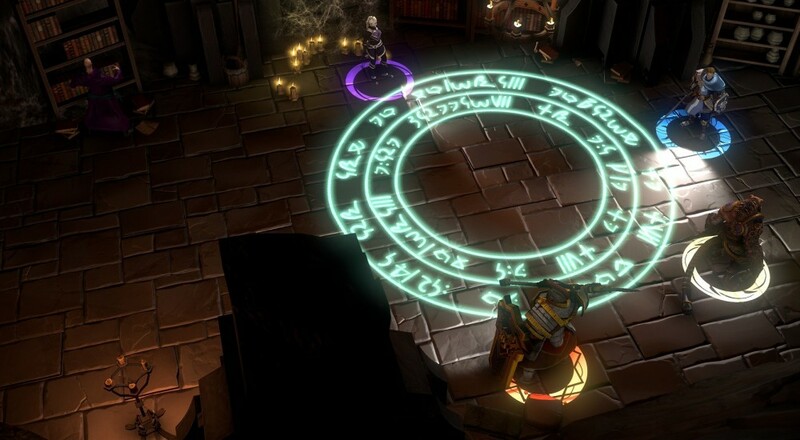 It's been a while since we lasted checked in with Eon Altar, the role-playing title that attempts to capture a little bit of that tabletop feel by using a central game device (such as a PC or tablet) as the DM/dungeon map and your smartphone as your character sheet/controller. In that time, a new episode of content has been released and a third is now on its way. Titled "Watcher in the Dark," Episode 3 of Eon Altar picks up right where Episode 2 left off with your party (you are playing this with a group of friends, right?) in unfamiliar territory searching for a way out. Similar to the previous episodes, this new one includes two chapters within it, the "Paths of Madness" and the "Hall of the Builders," and amounts to about "3 hours of new content." You will need the first two episodes to play, though, so if you're thinking of getting into the game, probably want to go ahead and just pick up that season pass. Episode 3, "Watcher in the Dark," for Eon Altar will be available on January 19, 2017. No price has been announced, though it is likely safe to assume it will be $6.99 like the two previous episodes. The full season pass is currently available on Steam for $14.99. Page created in 0.6900 seconds.